This is the Stadion Narodowy (National Stadium) station. 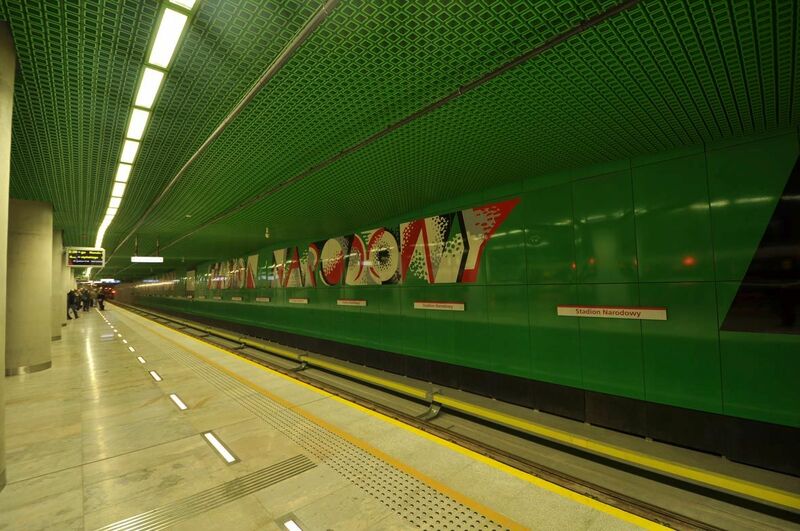 Picture 8.3.2015 by Marek Graff. Train no. 6015 is one of the newest generation trains. The model is built by Siemens and is called Siemens Inspiro. 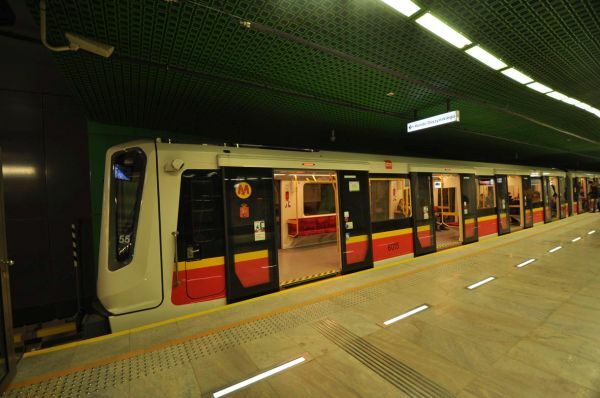 They were taken into service in 2013. The train is 6 coaches long and can take up to 1500 passengers during rush hours. Picture from the Rondo Daszyńskiego station 8.3.2015 by Marek Graff. 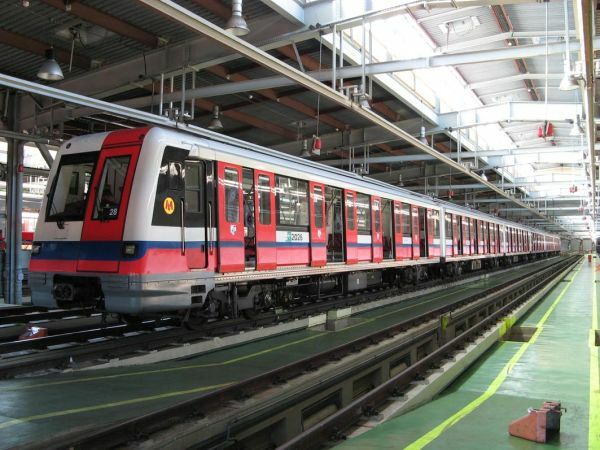 Side view of a Siemens Inspiro train. 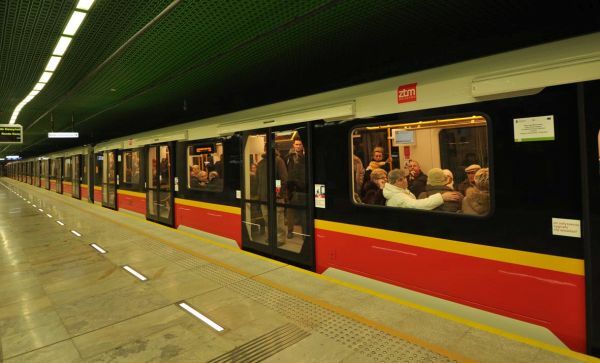 Picture from the Rondo Daszyńskiego station 8.3.2015 by Marek Graff. 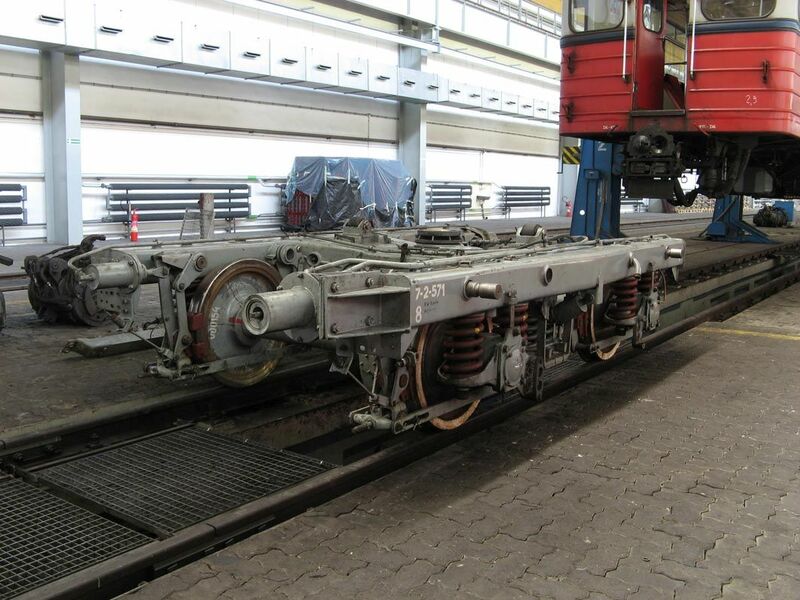 Exchanging bogies of class 81-572/573 trains at the service hall. These trains are of the second generation of Warsaw metro trains and they were manufactured by Metrowagonmash in Russia 1994-97. Picture 23.9.2006 by Marek Graff. 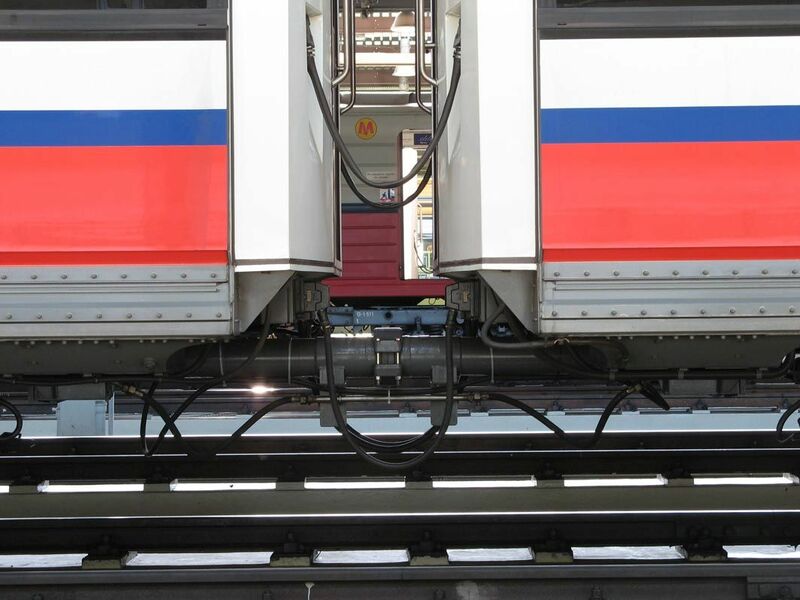 Automatic couplings of Metrowagonmash trains. 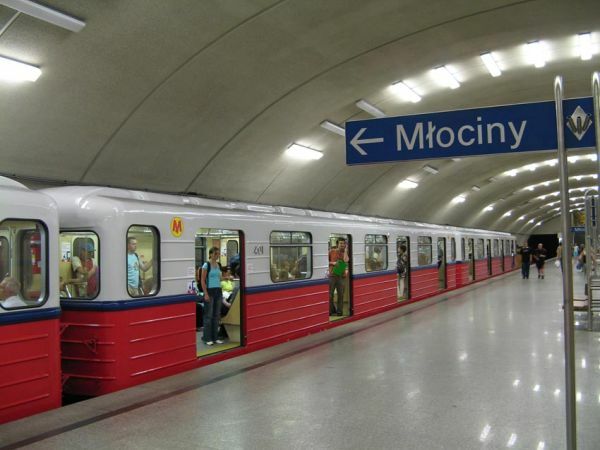 Similar metro trains are in use in several ex-communist countries, not only in Russia, but also in places such as Budapest in Hungary. Picture 23.9.2006 by Marek Graff. 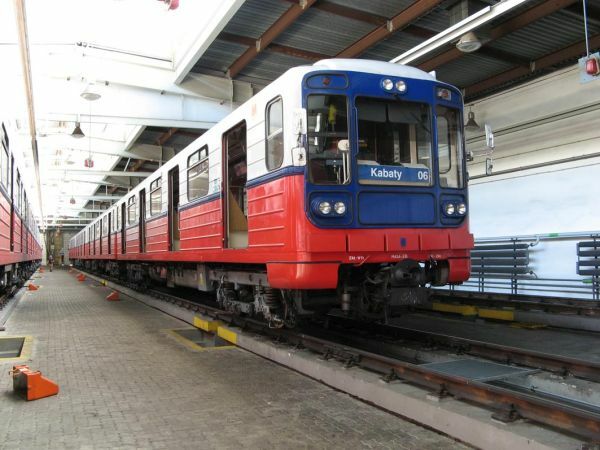 A Metrowagonmash class 81-572 train in use. Picture 14.1.2009 by Marek Graff. 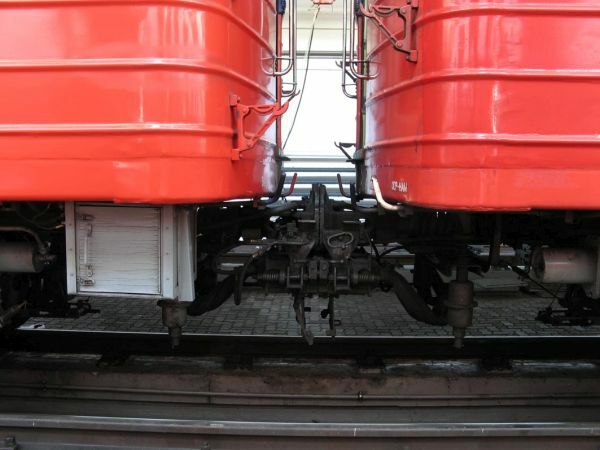 Front view of a Russian built Metrowagonmash class 81-717.3/714.3 train. 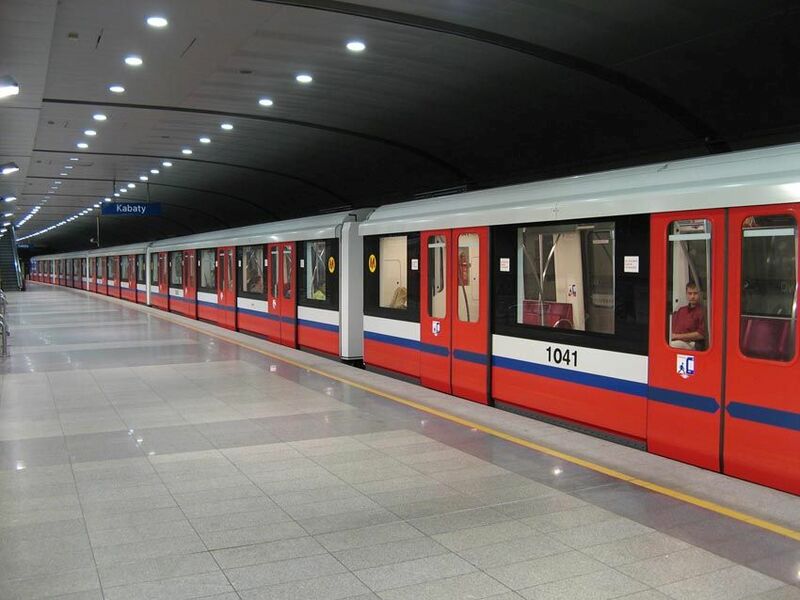 These are the very first Warsaw metro trains and they date back to 1990. Picture 23.9.2006 by Marek Graff. 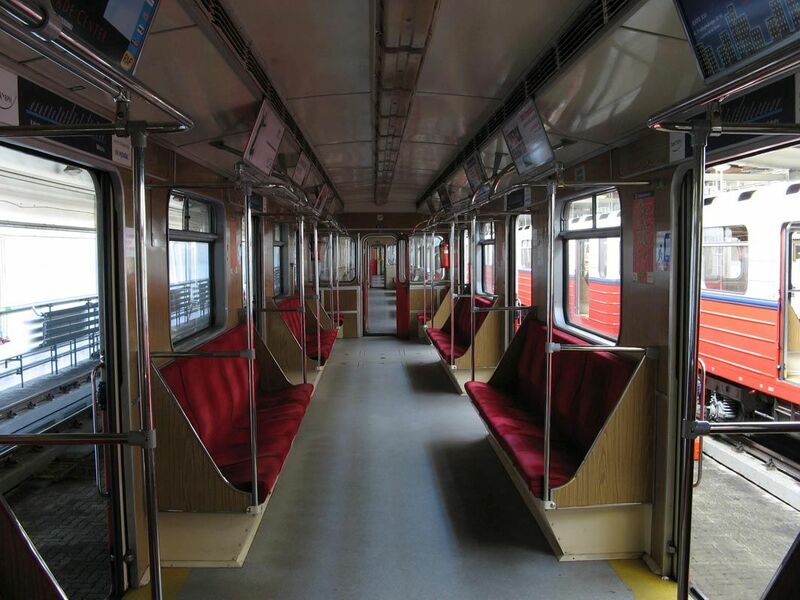 Inside view of the same Russian train as in the picture above. Picture 23.9.2006 by Marek Graff. 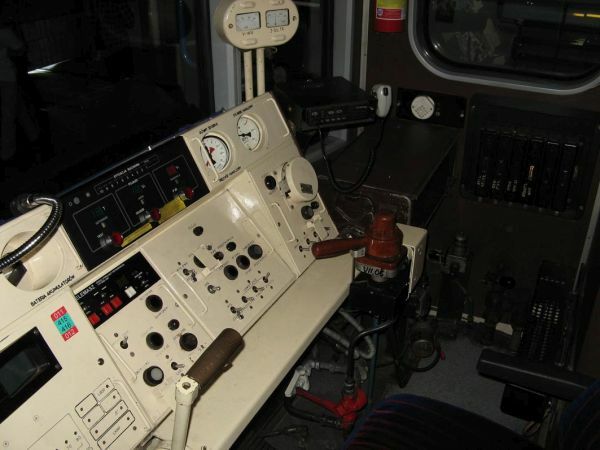 Driver's cab of the Russian built train. Picture 23.9.2006 by Marek Graff. 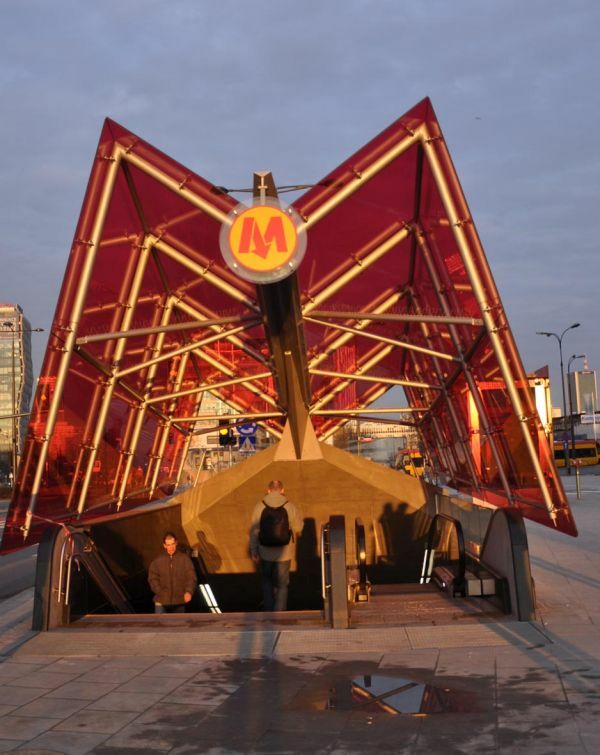 This train is of the type "Metropolis" built by the French company Alstom. They were taken into use during 2000-2005. Picture 23.9.2006 by Marek Graff. 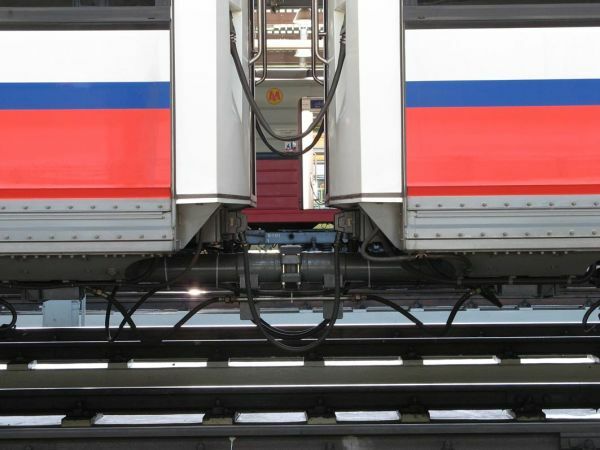 Coaches of the Alstom Metropolis train are tightly fixed together and cannot be separated during normal operation. Picture 23.9.2006 by Marek Graff. Side view of one of the Alstom Metropolis trains. Picture 23.9.2006 by Marek Graff. 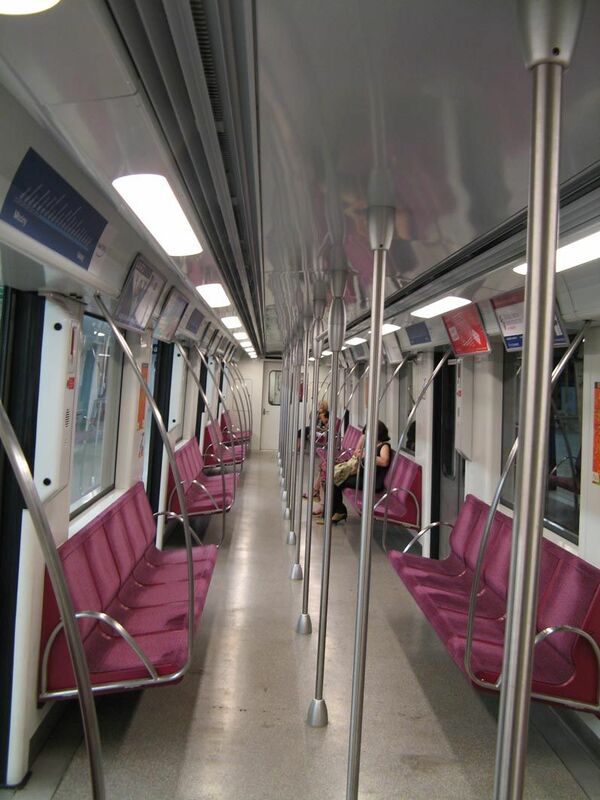 Inside view of an Alstom Metropolis train. Picture 23.9.2006 by Marek Graff. 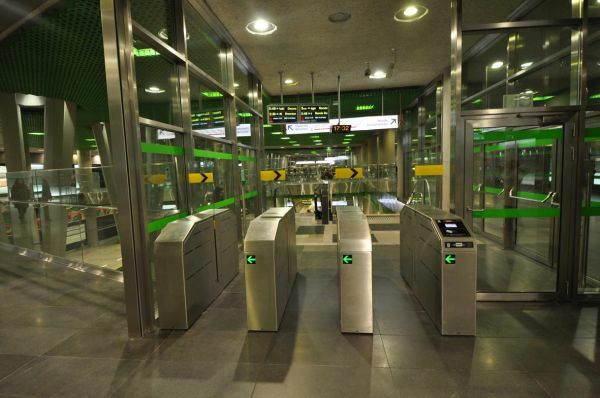 Ticket gates used in Warsaw resemble those of the Paris metro in France. Picture 8.3.2015 by Marek Graff. Different stations have different colours to make it easier for passengers to recognise where they are. 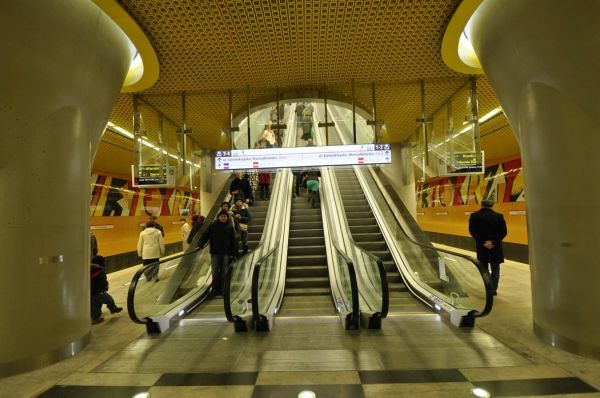 Picture from Świętokrzyska station which is at the centre of the X-shaped network 8.3.2015 by Marek Graff.